Does someone special in your life enjoy planting and growing flowers or food in their backyard? If so, here’s what to put in a gardening gift basket. Growing plants is not my strength, at least right now. I once had potted plants on my desk when I worked in New York City, but today, if I even try keeping a cactus, I will fail. On the other hand, my sister is the one with a green thumb. She can grow a plant from a single seed. I look at her collection and realize growing air is her expertise. It’s wonderful. 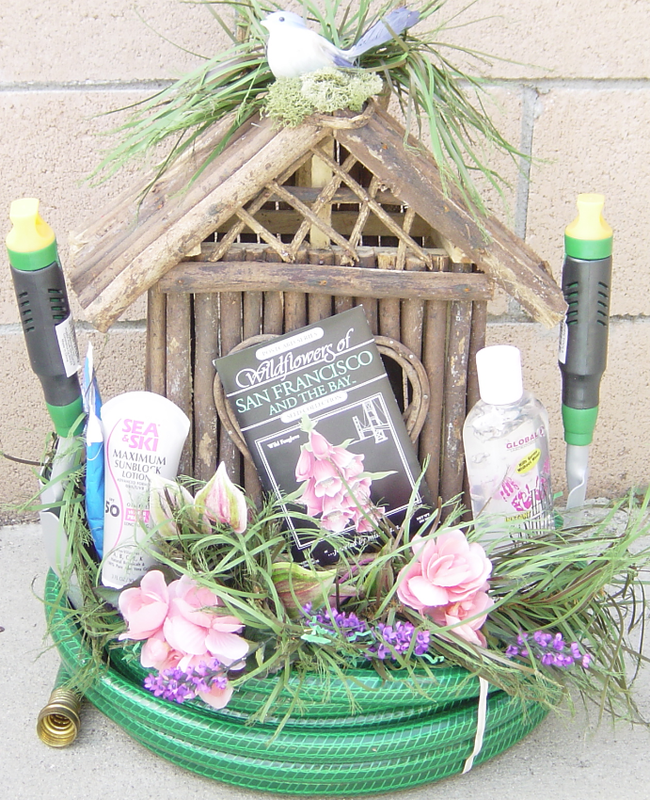 Your gift basket customers have similar people in their lives, friends and family members who are either adept at gardening or those who are passionate about creating an indoor or outdoor garden. This is where your design expertise shines. 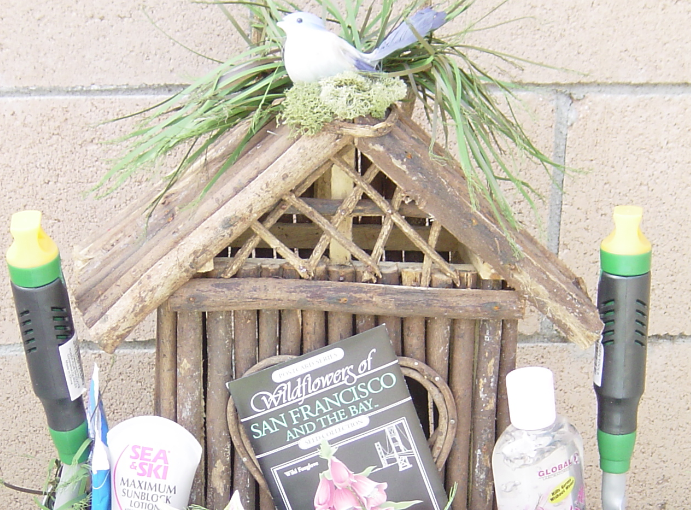 Gardening gift baskets are made for every age and gender. Isn’t it wonderful that this hobby is appreciated by men, women, and children? In addition, this collection is one that’s perfect for Mother’s Day and Father’s Day as an alternative to spa gift baskets or another assortment you offer. When customers call and ask for gift suggestions, a gardening gift basket may fit the recipient’s lifestyle, so it’s wise to know ahead of time where to find and buy these products. Also, consider this: there are so many options for buying everything in this design that most people rather receive it than purchase it on their own. Everyone loves a starter kit, and that’s what your gift basket represents whether the receiver is new to planting or a veteran grower. Partial content list from the book, How to Start a Home-Based Gift Basket Business, by Shirley George Frazier. Gardening gift basket design featured in the book, The Gift Basket Design Book, by Shirley George Frazier.